About : MVJ medical college is a well established educational institute for imparting quality medical education. The college was established in 2001 under the umbrella of Venkatesha Education Society. It is located in Hoskote a rural district of Bangalore, and is well connected to the city. The college is recognized by the Medical Council of India and is affiliated to the Rajiv Gandhi University of Health Sciences for conducting the medical undergraduate programme leading to the award of MBBS degree. 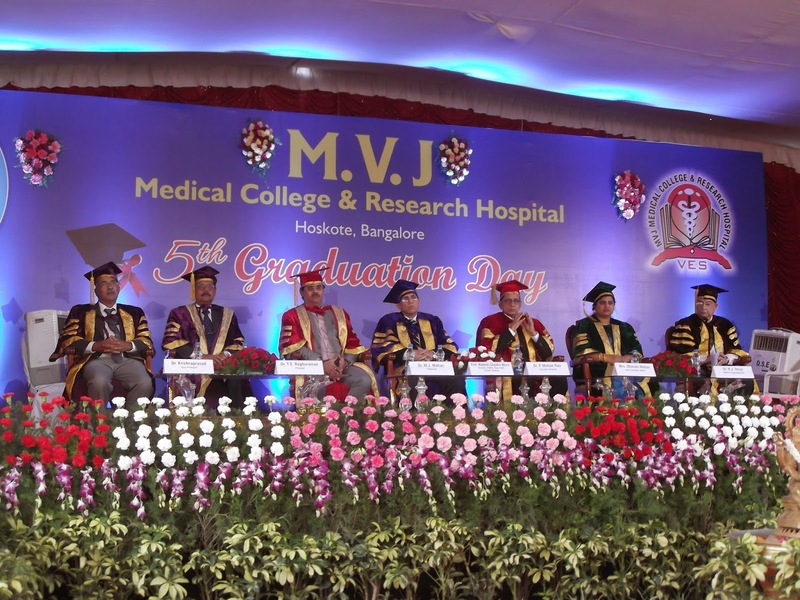 MVJ Medical College Bangalore (MVJMC Bangalore) is one of the most preferred private medical colleges in Karnataka. This private medical college was established in the year 2001 under the umbrella of Venkatesha Education Society. It’s a well-established institute providing quality medical education for medical aspirants. MVJMC Bangalore, a private minority medical college in Karnataka, is affiliated to Rajiv Gandhi University of Health Sciences Bangalore. This private medical college is recognized by Medical Council of India (MCI). M V J Medical College Bangalore is one of the most sought-after private medical colleges in Karnataka offering undergraduate and postgraduate courses for medical aspirants. The under-graduate course offered at MVJMC Bangalore is MBBS. MD (Doctor of Medicine): Dermatology Venereology & Leprosy, Psychiatry, Anaesthesia, Radiology, Pathology, Paediatrics, General Medicine. MS (Master of Surgery): E.N.T, General Surgery, Orthopaedics. MD / MS: Ophthalmology, Obstetrics & Gynecology. PG Diploma: Psychological Medicine, Ophthalmic Medicine and Surgery, Obstetrics & Gynaecology, Orthopaedics, Anaesthesiology, Child Health. MBBS programme (4 ½ years course with a compulsory one year rotating internship). The complete M V J Medical College admission process for undergraduate and postgraduate courses is mentioned below. For admission to MBBS Course at MVJ Medical College Bangalore, affiliated to RGUHS Bangalore, candidate must have passed 10+2 or equivalent examination with Physics, Chemistry and Biology subjects. The candidate must have completed the age of 17 years on or before the year of MBBS admission. Candidates seeking MBBS admission at MVJMC Bangalore must qualify in NEET UG (National Eligibility Entrance Test). Qualified candidates shall be called for MBBS admission counselling, conducted by AMPCK (Association of Minority Professional Colleges in Karnataka) in the order of merit. Based on the availability of seats, candidates will be allotted MBBS seat at MVJ Medical College Bangalore. For admission to MD/MS/PG Diploma Course at MVJMC Bangalore, affiliated to RGUHS Bangalore, candidate must have obtained MBBS degree from MCI recognized institution. Candidates seeking admission at one of the best private minority medical colleges in Karnataka, M V J Medical College Bangalore, must have completed one year compulsory rotating internship after passing the final professional examination. Candidates seeking MD/MS/PG Diploma admission MVJMC Bangalore must qualify in PG medical entrance exam. Qualified candidates shall be called for MD/MS/PG Diploma admission counselling in the order of merit. Based on the availability of medical seats, candidates will be allotted a MD/MS/PG Diploma seat.